According to Bain & Co., it costs seven times more money to attract new customers than it does to keep existing customers. If you retain just five percent of your customers annually, you can generate up to 125 percent more profits. More and more, companies are adopting programmatic ways to garner repeat customers. They’re thinking about business through the lens of the subscription model. Amazon, for example, sells practically everything under the sun. Some of those things, laundry detergent and cat litter for example, are products consumers are inclined to buy on a regular basis. But they might forget and wind up having to make an unscheduled run to their local market. So Amazon launched “Subscribe & Save” that lets customers sign up to have their favorite products delivered on a regular basis and get a 15 percent discount. The program took off. Like the Amazon example, you can design your products and services to be “sticky,” so they make people’s lives easier if they continue to do business with you. A sticky product gets better the more someone uses it. You create stickiness by studying your customers’ habits and creating things that tap into those habits. TurboTax makes filing taxes simpler for returning customers, thanks to pre- populated tax forms and personalized explanations about why their taxes differs from past years. Dollar Shave Club regularly delivers grooming products that the customer uses at the frequency the customer requests. The bigger the total order, the more each item is discounted. With identity theft on the rise, many companies offer credit monitoring, social media monitoring, and even dark web monitoring as a way to keep their brand top-of-mind (monitoring means semi- regular communications), while becoming indispensable to their customers. 2. Learn from customer service. Sure, the main goal of your customer service is to solve immediate problems, but that’s just the tip of the iceberg. More important is to use it as a way to investigate the root causes of problems, solve systemic issues, and help other customers avoid potential problems. Staff should also follow up with customer service cases and tie up loose ends. This open-ended approach can also reveal how to enhance customer retention throughout your organization. For instance, are people confused or impatient with certain procedures? Do they respond well to your new technologies? Discover and use the communication channel the customer prefers: email, live chat, text, phone, or even snail mail. Focus on a complete solution rather than a speedy one, and don’t rush people. Thank them afterward with additional services or a gift. 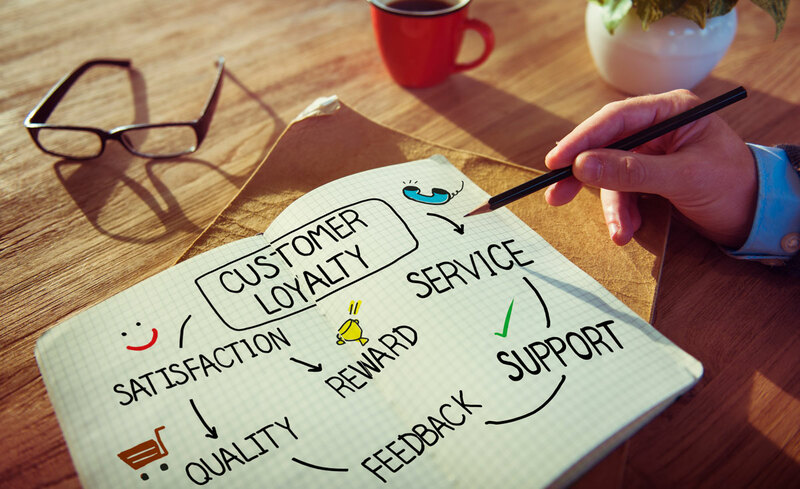 Want to learn how to turn your customers into loyalists? 3. Educate your audience and provide them with useful information. People appreciate brands that give them useful advice they can trust. For instance, about 40 percent of respondents in Adobe’s 2017 Consumer Email Survey wanted emails that are more informational, and less promotional. You can guide customers back to you with insights that help them succeed, including how-to guides, quick tips, and in-depth education about challenging topics. Done well, your materials will make you a go-to source for your field, and the first stop when customers plan their next purchase. At the same time, you can expand your trove of useful consumer data by watching what content your audience prefers. Just make sure your content is unbiased and not overly promotional. Leading work-management software Asana created a very simple, step-by-step guide to getting started with their product using text, screen shots, and short how-to videos. Popular car-sharing company Zipcar produces a digital magazine of sorts targeted toward its primary audience: city dwellers. It offers helpful content on city living, the future of cities, sightseeing, and more. 4. Offer loyalty or rewards programs. Ubiquitous “buy 10, get one free” cards depend solely on discounts and treat members like a commodity. As a result, people often hop from one reward program to the next and are not at all loyal. 5. Help them in new ways. You may already provide a product or service that your prospects and customers truly need. But is there something that you can add on, either for free or for a fee, that solves some other problem in their lives or alleviates a worry? For example, customers today are besieged by identity threats. So, many companies are starting to augment their regular offerings with identity management services. Going that extra mile shows customers and prospects that you care, helping to galvanize them as loyalists. Track the readership and sharing of each piece of content, to uncover more about customers’ current and future needs. Consider incorporating the success of loyal buyers and their unique stories into your content. It enhances your credibility and gives a sense of community. Keep an eye on organizations that use content well. For instance, American Express’ Open Forum is a popular portal for articles about small business issues. 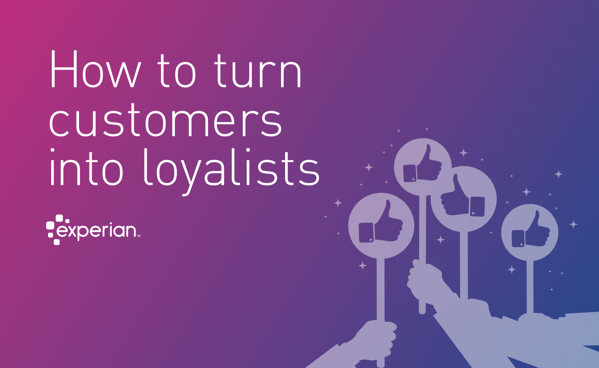 Get our free eBook and learn How to Turn Customers into Loyalists!